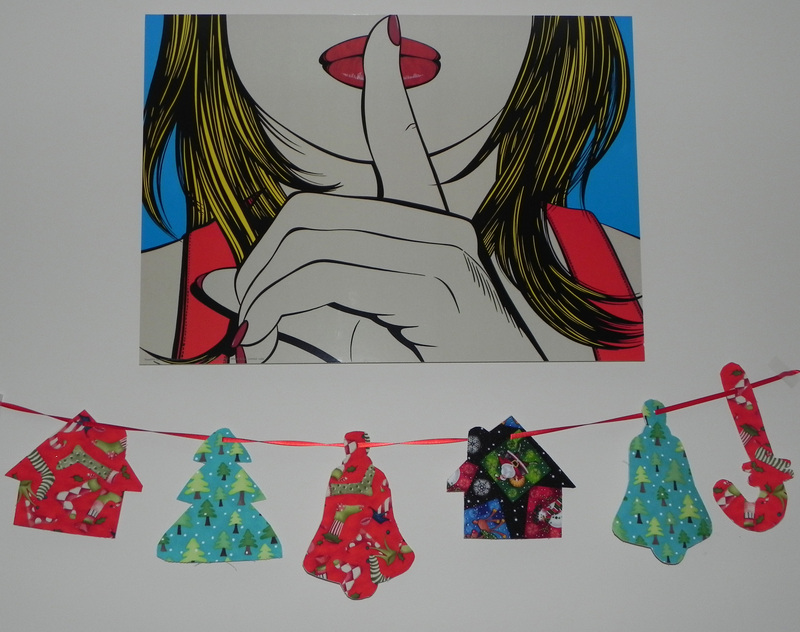 I am in a sort of creativity jam (yet again) and need some ideas from fellow crafters. Instead of making simple banners with regular shaped flags I want to create something different. How about flags in the shape of cute animals? 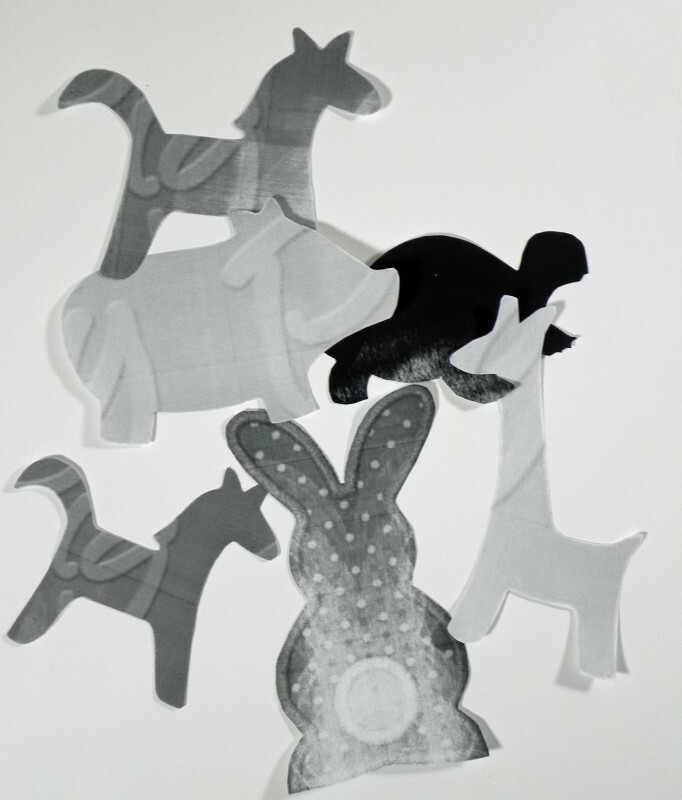 I have included a picture of paper cutouts of what I am thinking so far. Are there any other shapes that might be interesting for kids/children? 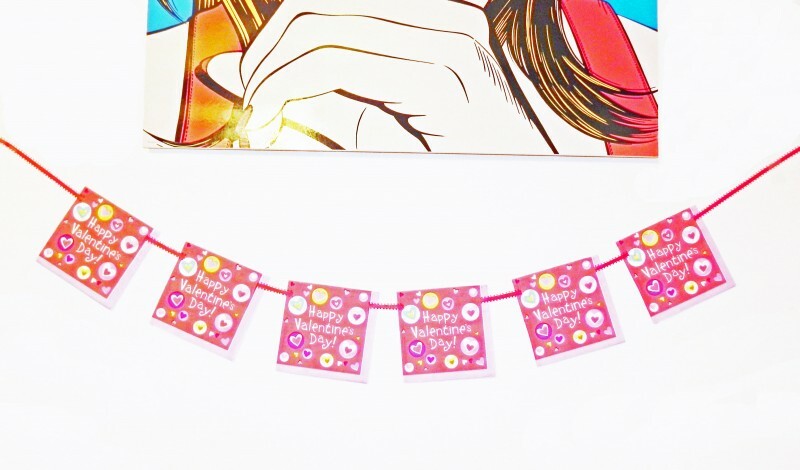 Of course I can make banners from these cute animal, but how about any other craft that can be created? What else can I do with these animal shapes? Any ideas, suggestions, pointers are highly appreciated. This is a fun DIY that can be done in no time. 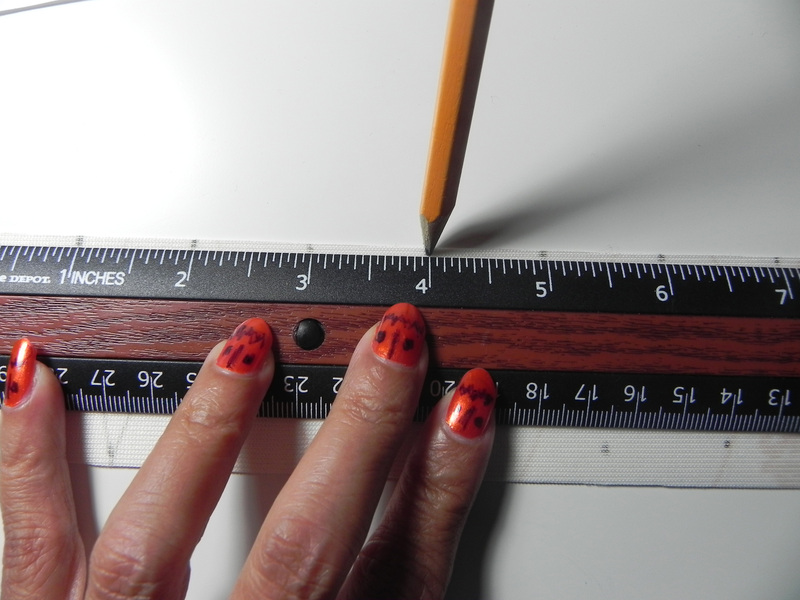 For this DIY project I got help from the “splendid blender” pen, literally! You can read all about the magic of Splendid Blender pen (aka ‘Woodcrafter’s Marker’) at this awesome tutorial – Villabarnes. 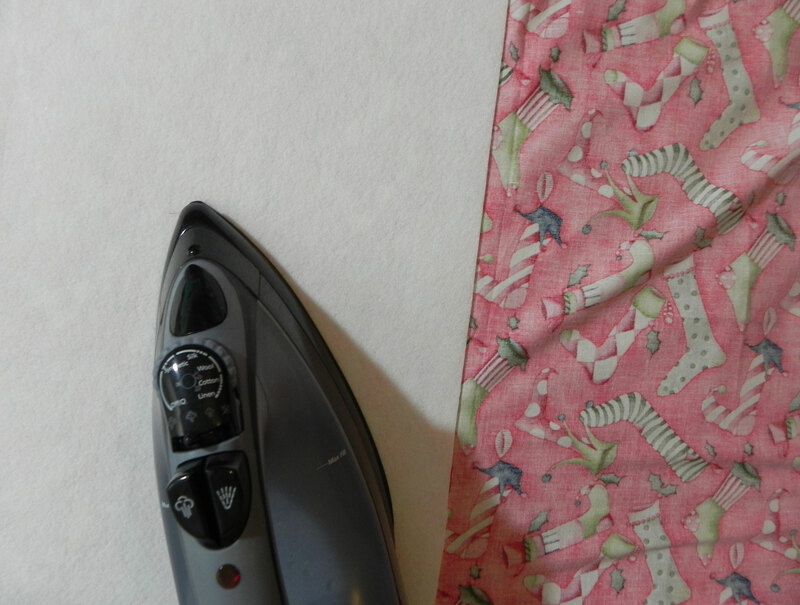 In this tutorial you can learn how to use the wonderful technique of transferring any image on fabric, any fabric. This technique uses “Splendid Blender” pen which you can buy from you local craft store (sometimes they are a little hard to find, don’t lose heart if your local craft store hasn’t even heard of it, check other stores and one of them will know about it). The one I used is by the company called “Chartpak“. Take a print out of your desired image/picture on a laser printer. Laser printer gives a better quality printout and works well with the instructions in this DIY. Transfer the image on to the T-Shirt using the blender pen as per the instructions explained on Villabarnes blog. 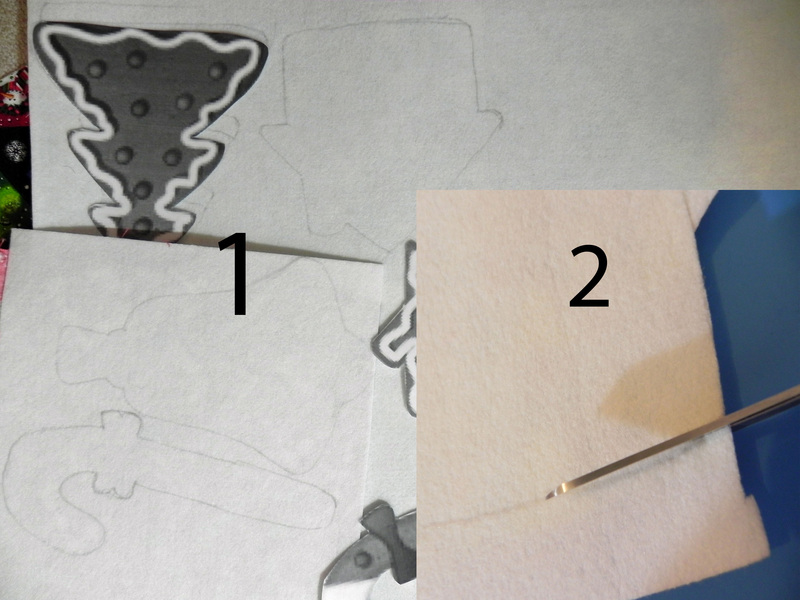 Once you have the image transferred, use the fabric markers to draw and fill the image with color of your choice. Happy St. Patrick’s Day 2012. 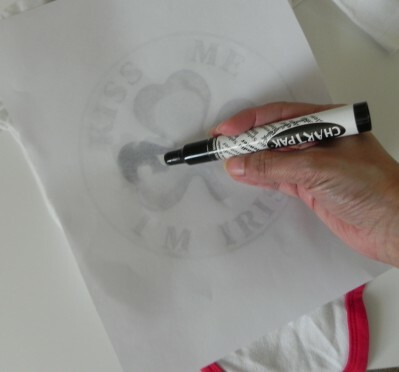 This adorable DIY project will show how to easily hand paint and design baby’s bodysuit or T-Shirt with four-leaf clover design. 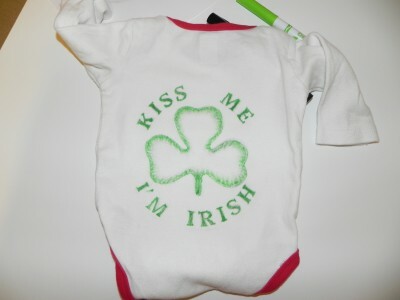 You can dress your baby and show Irish pride…. even if they’re only a wee bit Irish or even if you are not Irish but want to celebrate this day and have fun. 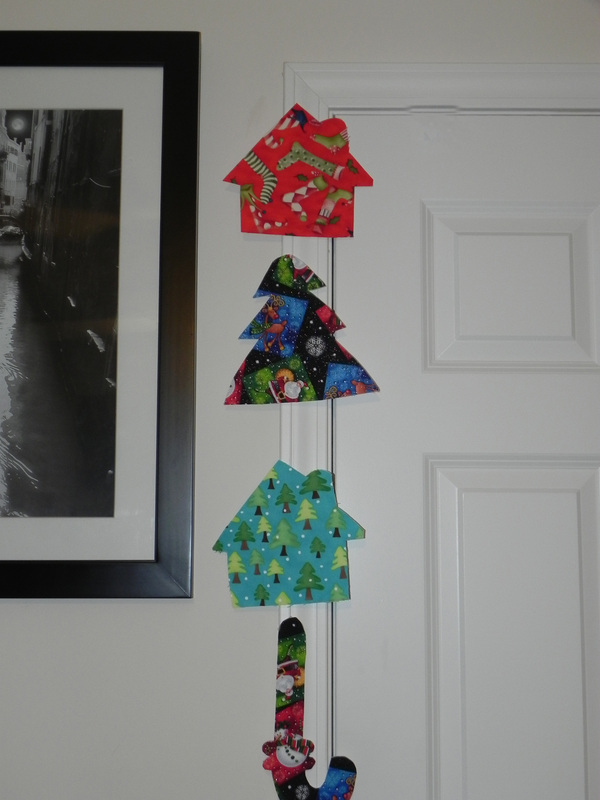 This is a very easy and quick DIY and looks great too. 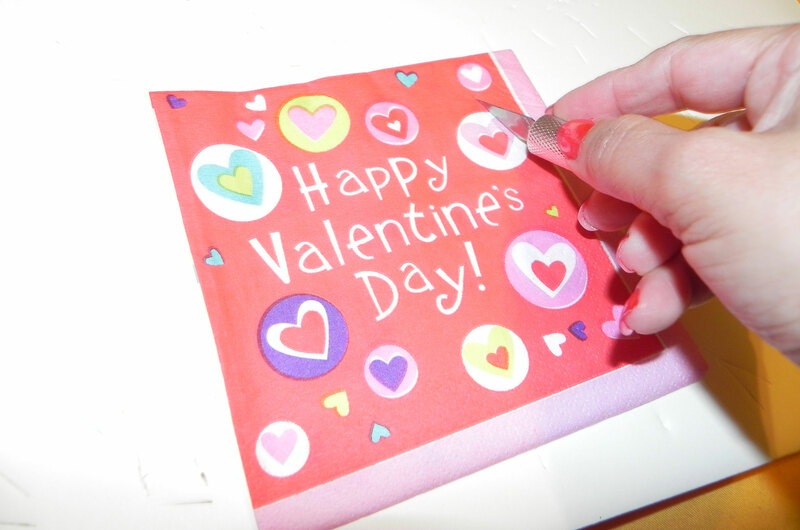 The paint used is non-toxic fabric paint. Bodysuits and t-shirt’s could be white or any other color of your choice. 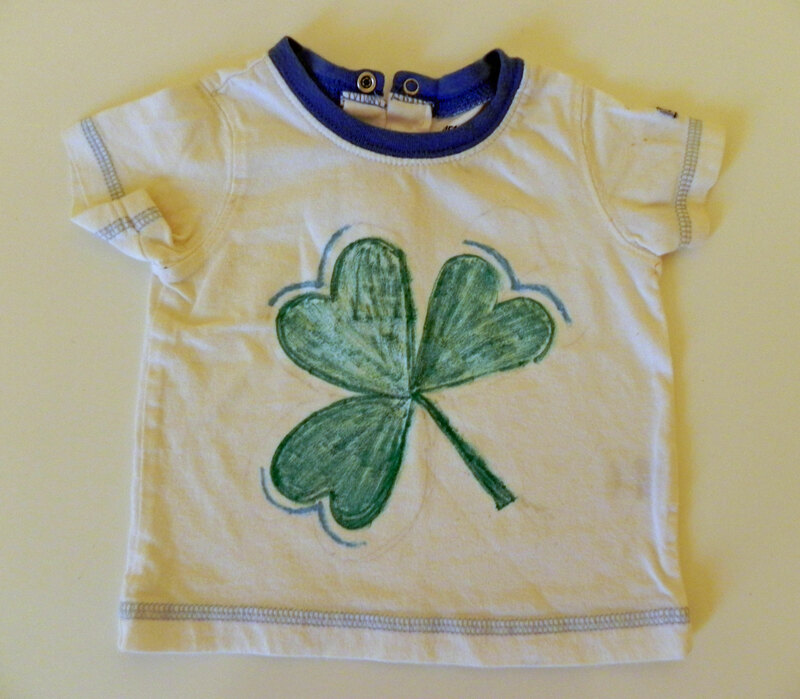 This T-Shirt has a lucky three leaf clover design that will keep kids from getting pinched. 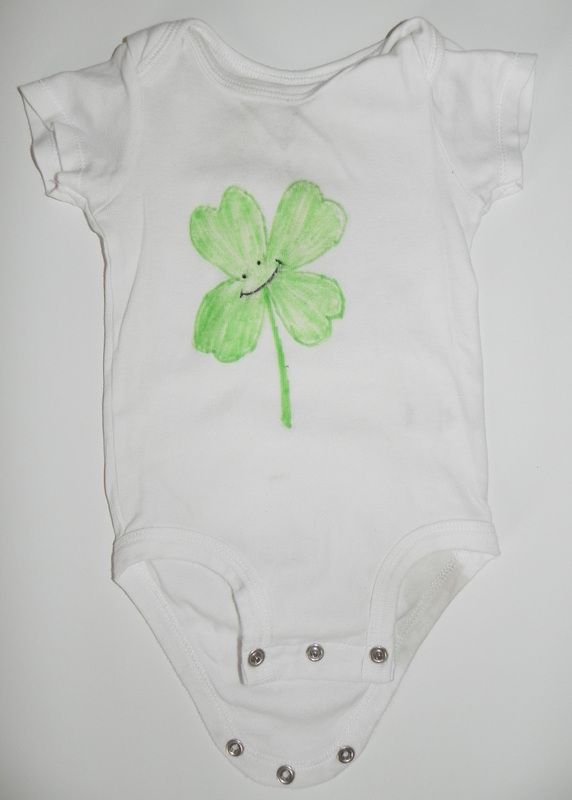 The design can be easily painted on to onesies, t-shirts, bibs and even blankets. 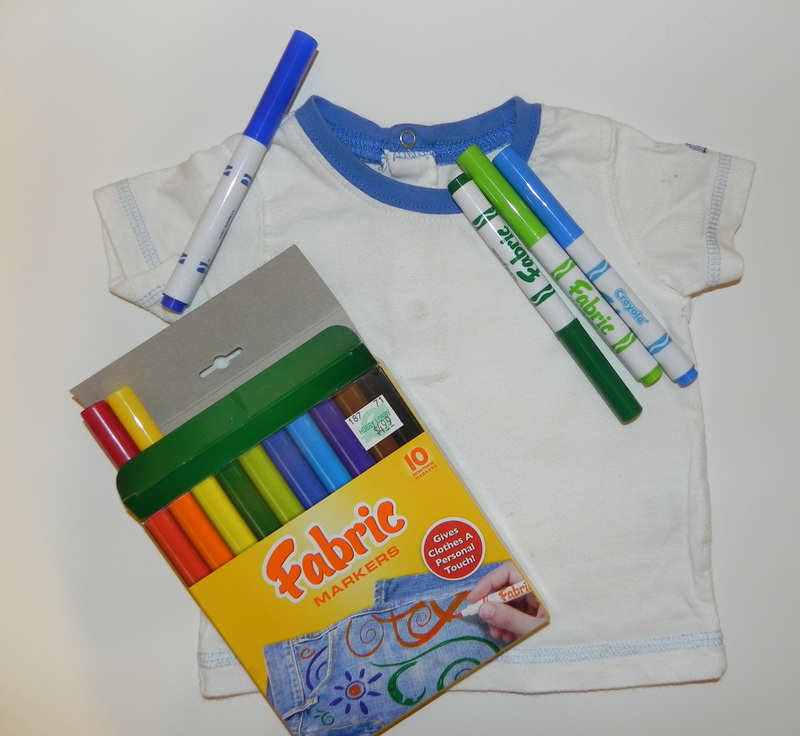 All you need for this DIY is fabric marker and any T- Shirt. Draw outline of a three-leaf clover symbol. If you unable to draw it for any reason, there is an even easier way to do this. 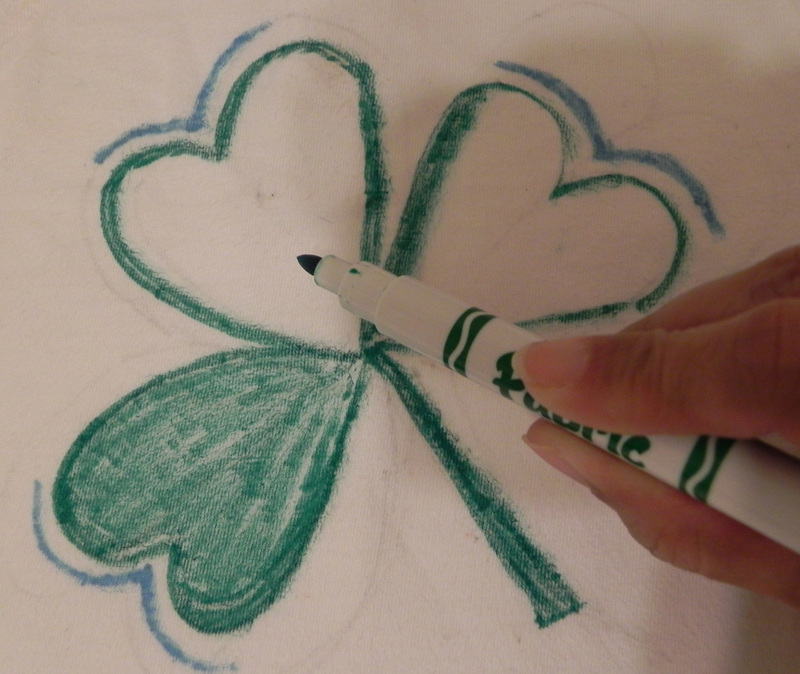 Just follow the simple instructions for how to draw clover leaf outline here. 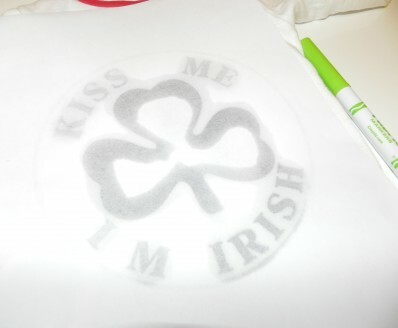 Fill the design with green color fabric marker. 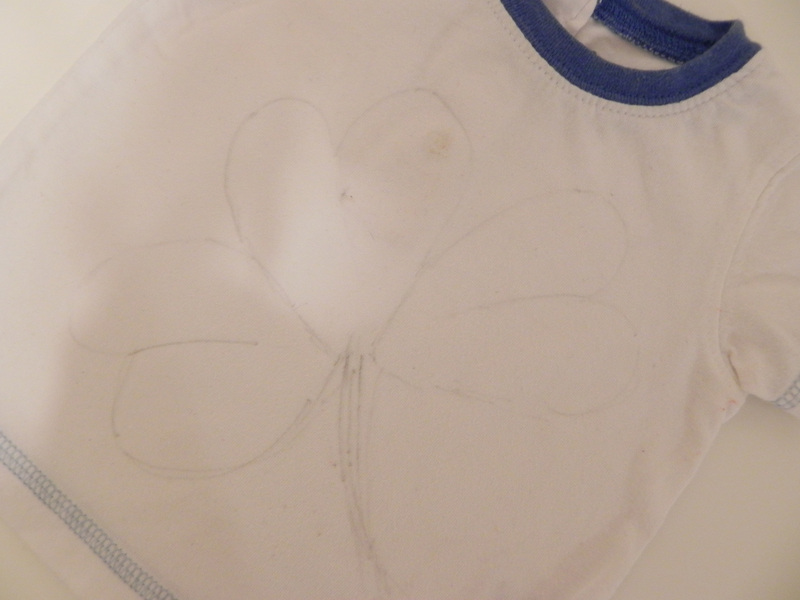 Similarly you can make a four-leaf clover design with smiley face in it. 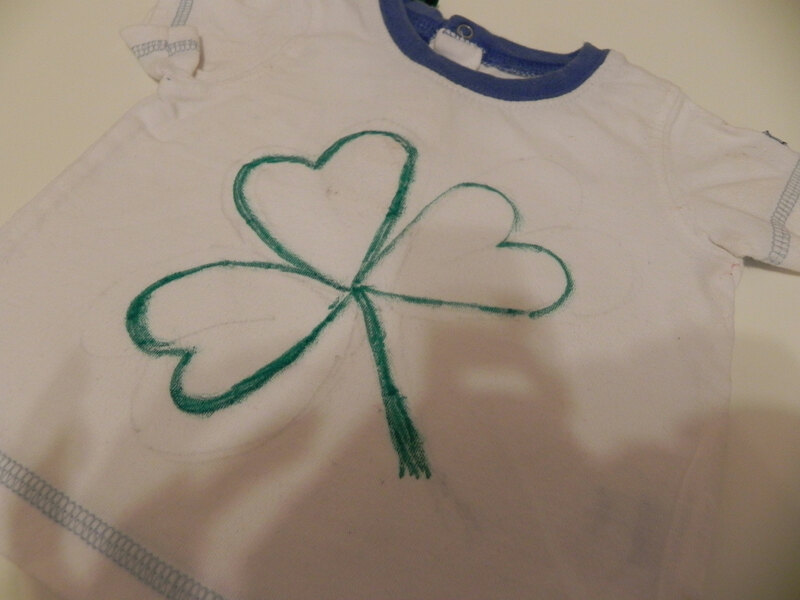 The tee with a cute, green clover leaf logo is ready. Your baby can wear it now with pride! How are you celebrating your St. Patrick’s day? Are you and your family taking part in the parade or going to watch the parade in your town? 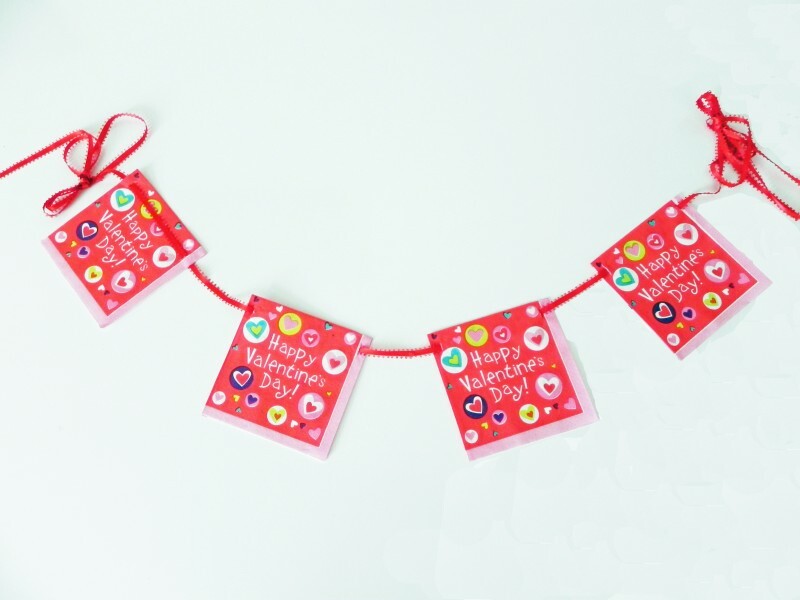 Share below your creative ideas or DIY that you are creating to make this day more fun! 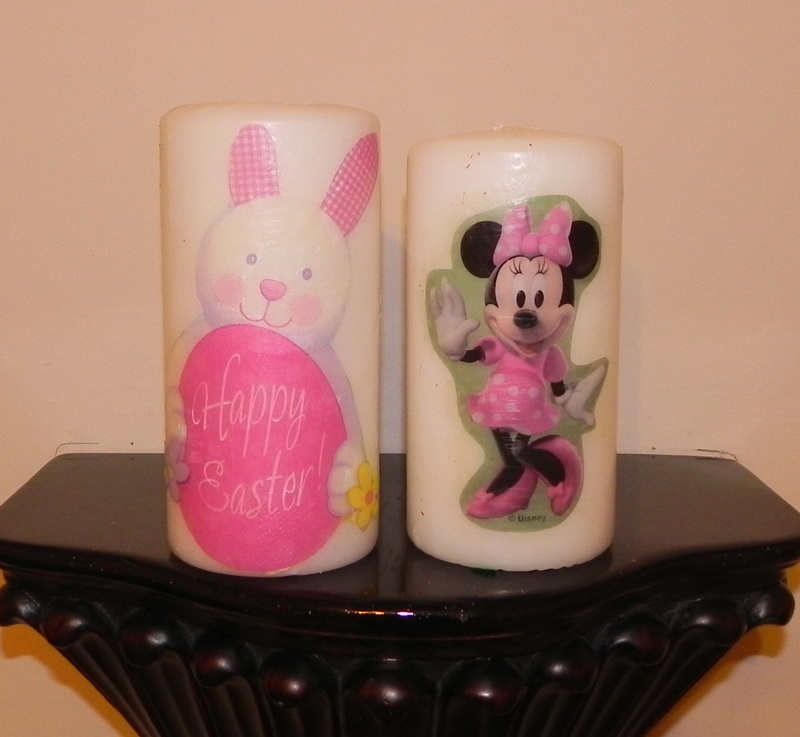 Many of you commented on and appreciated my earlier DIY projects (St. Patrick day candle and Valentine’s day candle, thanks so much for all the comments.) about how to decorate candles in an easy way. 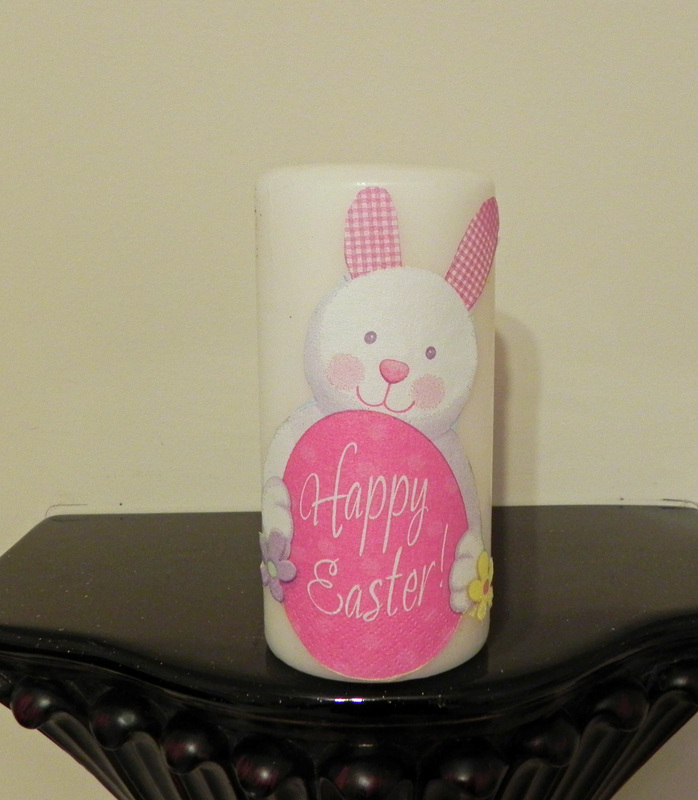 With that I’m encouraged to put one more candle decoration project but this time for Easter. Note: This DIY project idea is inspired by the blog post “Graphic printed candles DIY” which can be found on the wonderful blog called “Crafty, Scrappy, Happy” by Jaime Lyn. For this candle decoration you can use any photo. 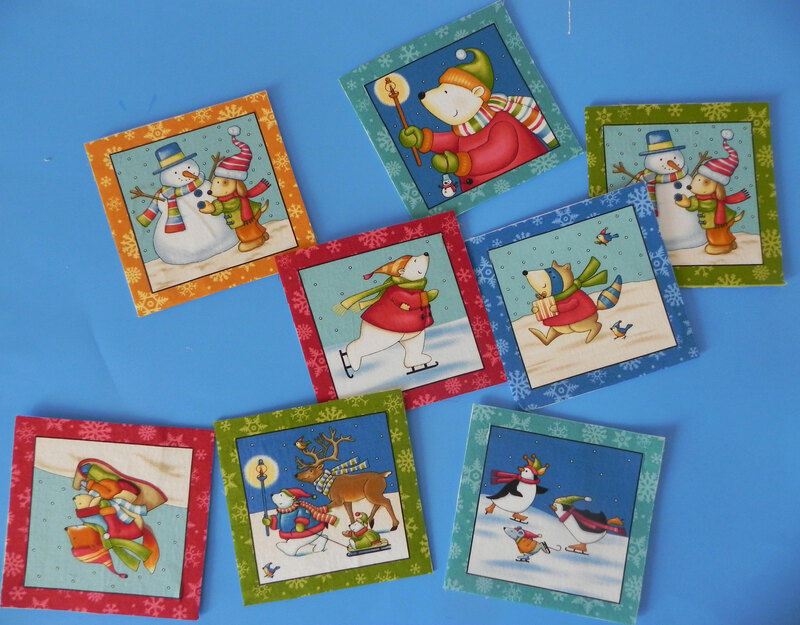 For example you can use your family photo, baby photo, sticker, cartoon and even a book picture. 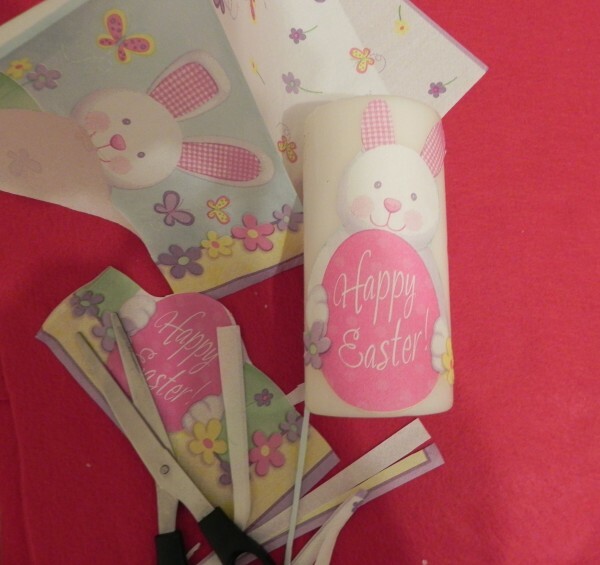 In this DIY project I have used a bunny picture from a paper napkin. Let’s get started! First we have to get a picture of our choice and then we will laminate the picture on the candle using liquid wax coating. This is a little tricky part and I’ll explain how to do this below. Once this step is done, I promise you that everybody who looks at this candle will ask you about it and about how did you do it? This is an inexpensive way to custom design your candles. I learned this technique long time back from my art teacher. This is a great way to laminate any art work with wax and save it. Let’s get started. 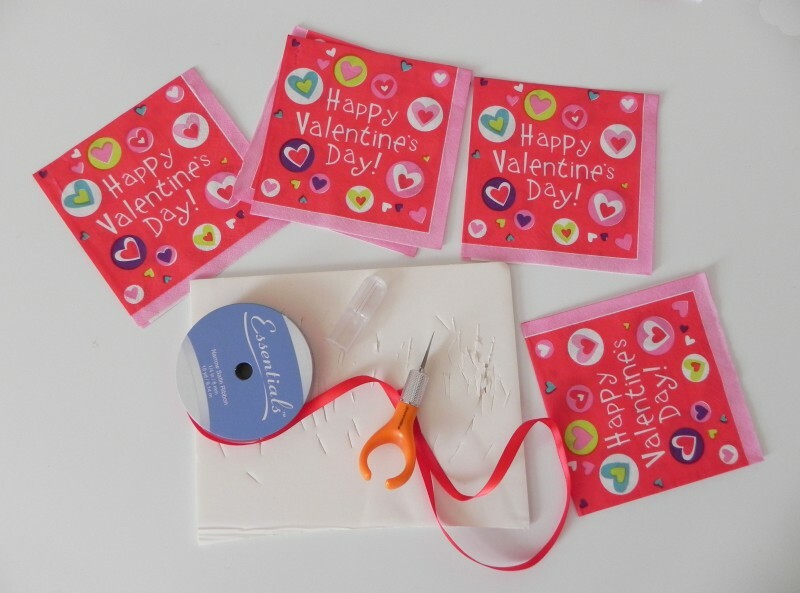 You will need a photo, a plain white candle, scissors and hot liquid paraffin wax. Cut your picture and put it on the white candle. You can find paraffin wax in your local art store. Make sure that you only use “Paraffin Wax” and don’t try to use just any wax. WARNING: Make sure that you use proper gloves for melting and then handling liquid paraffin wax. 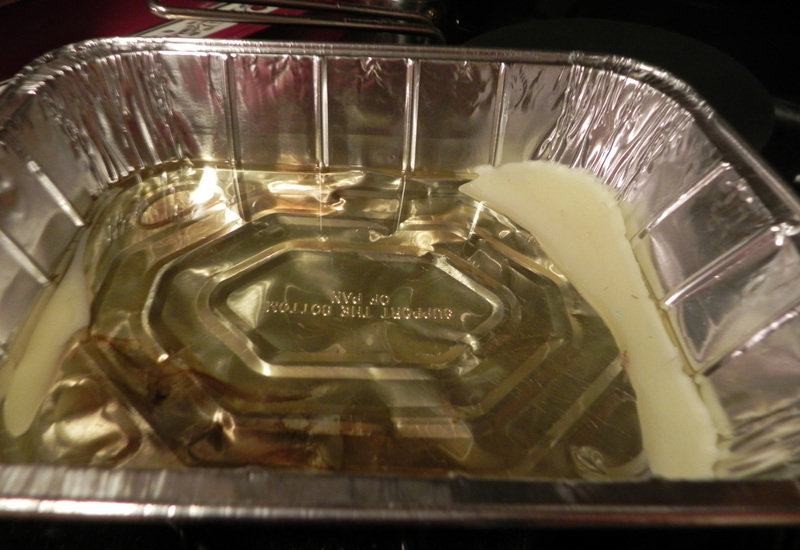 Remember to work in a well ventilated area and never heat paraffin wax hotter than 240º F (it will burst into flames). Now you can use this liquid wax just as any other paint. 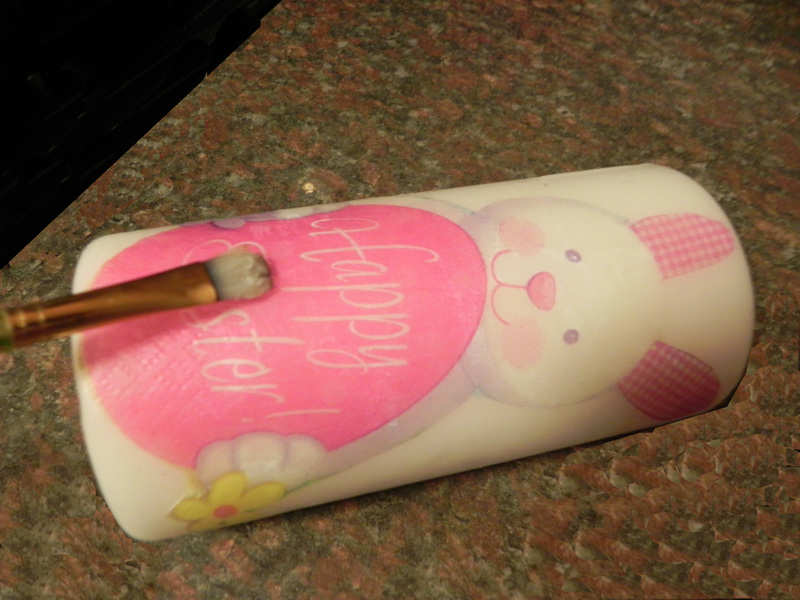 So get your painting brush and dip it in and paint over the photo on the candle. Try to give a nice coat of wax all over the photo specially around the edges. 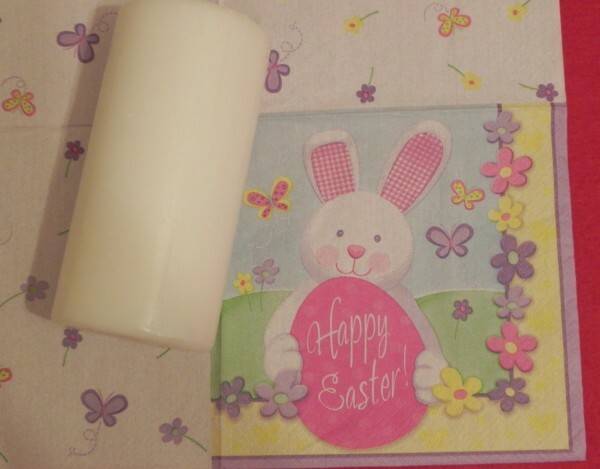 With this liquid wax painting technique you can laminate a photo on the candle. How are your candle decorations coming along? Share your links/pictures, comments, feedback in the comments below. Happy Easter to you with all best wishes! 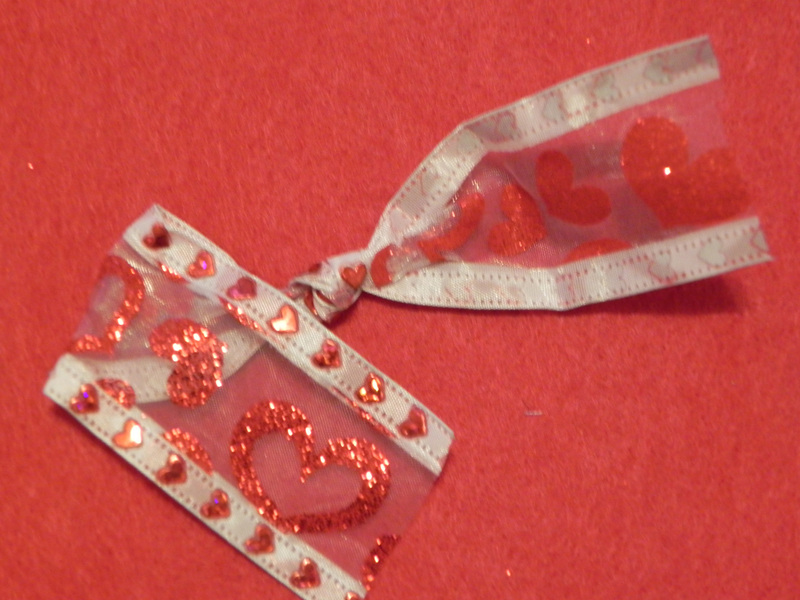 A ribbon heart can be made in just two steps and under two minutes. 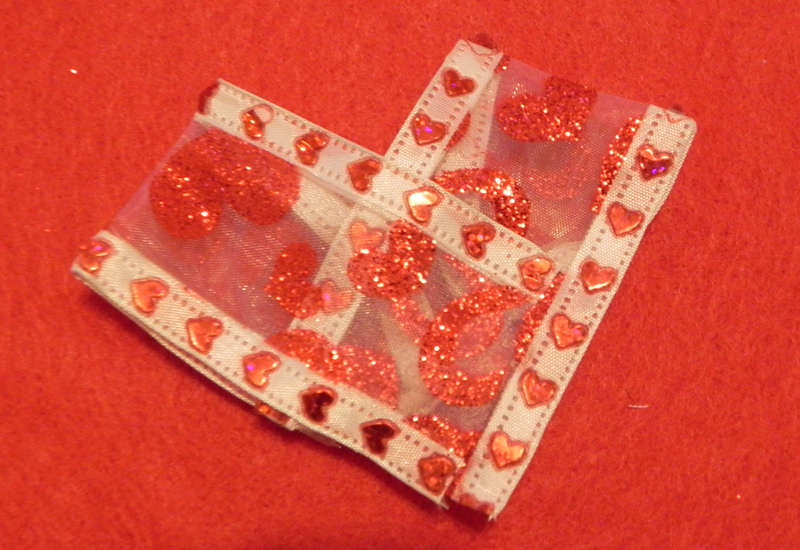 When ready you can either use fabric glue or stitch to keep the heart shape. 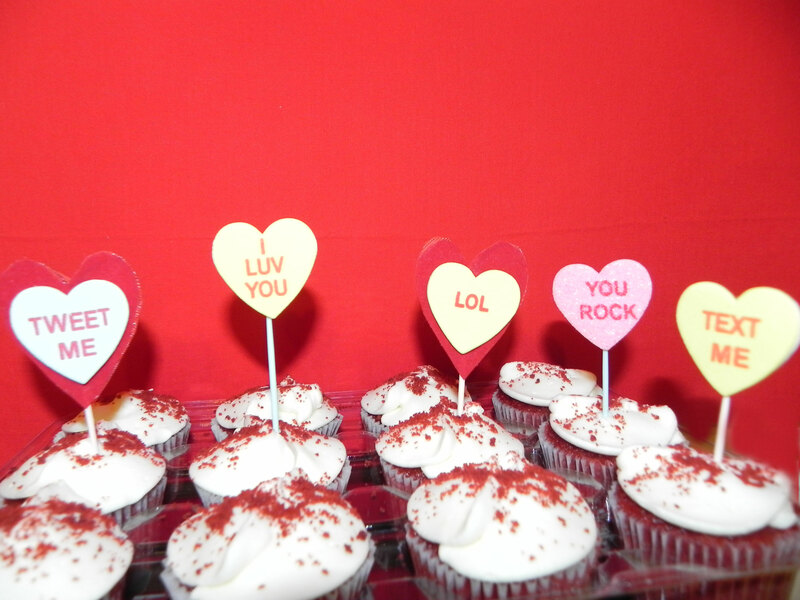 It was a lot of fun to decorate these little cupcakes. 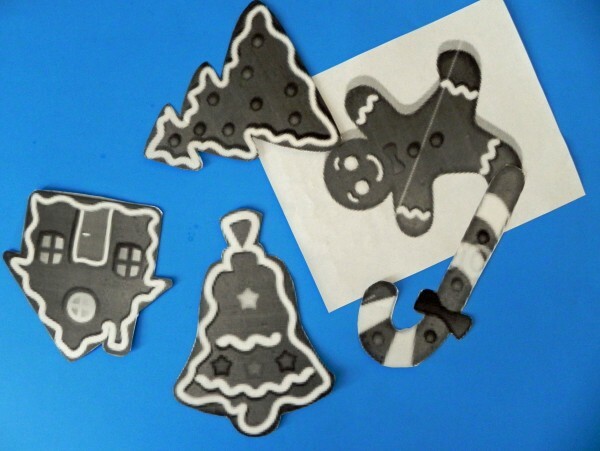 All you need is “foam stickers” which you can find at Joann’s or at your local favorite craft store. 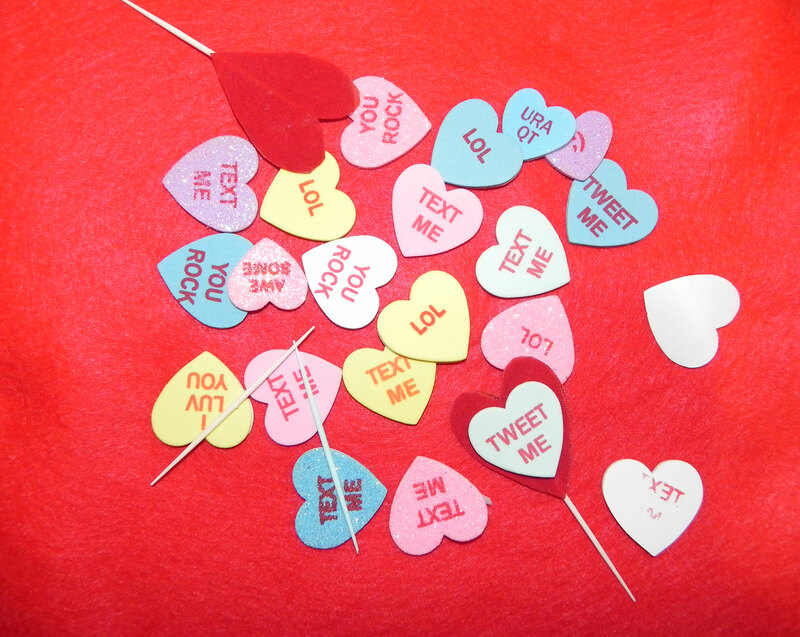 Then glue these stickers to tooth pricks and put them on the cupcakes. Don’t they look cute now and probably sweeter? 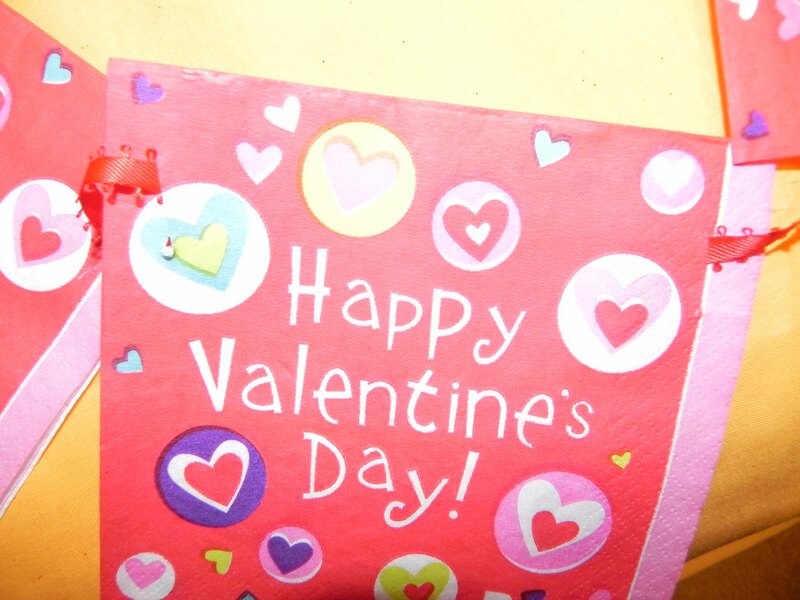 I chose the stickers that made most sense for Valentine’s day. 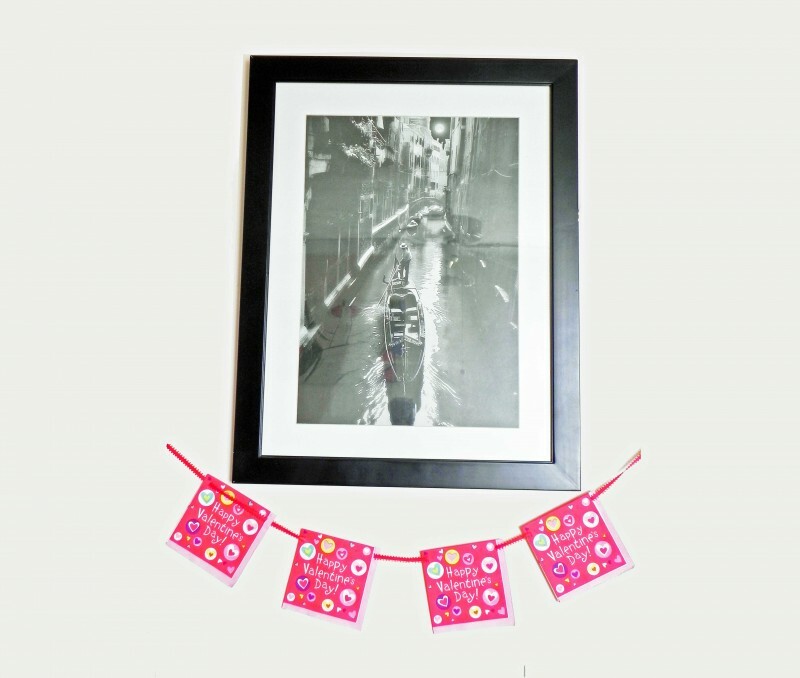 I like photo frames specially those that are decorated & crafted with a personal touch. Since it’s winter season and though it hasn’t snowed as much this year in the US mid-west so far (I’m not complaining :-)) but without snow winter can’t be fun. 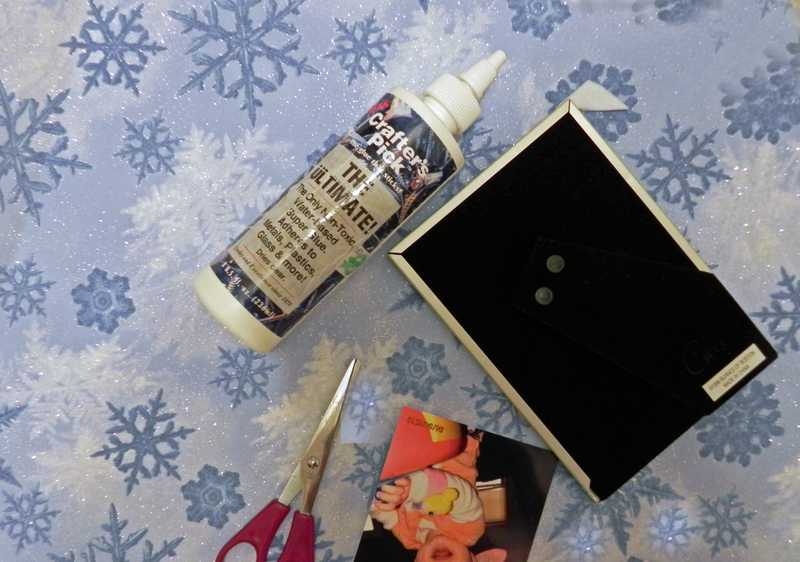 In this DIY I have converted an old photo frame by adding snow flakes around it. 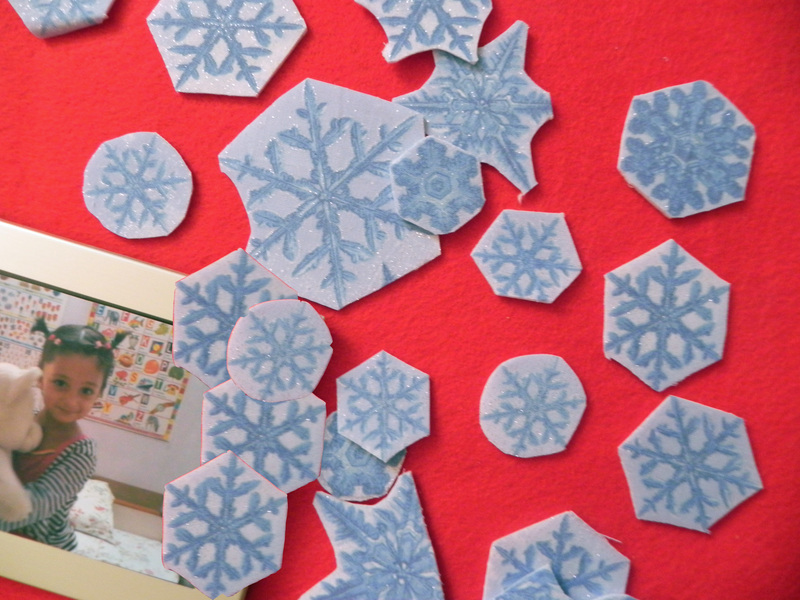 This is a very quick and simple technique and you can add anything not just snow flakes. 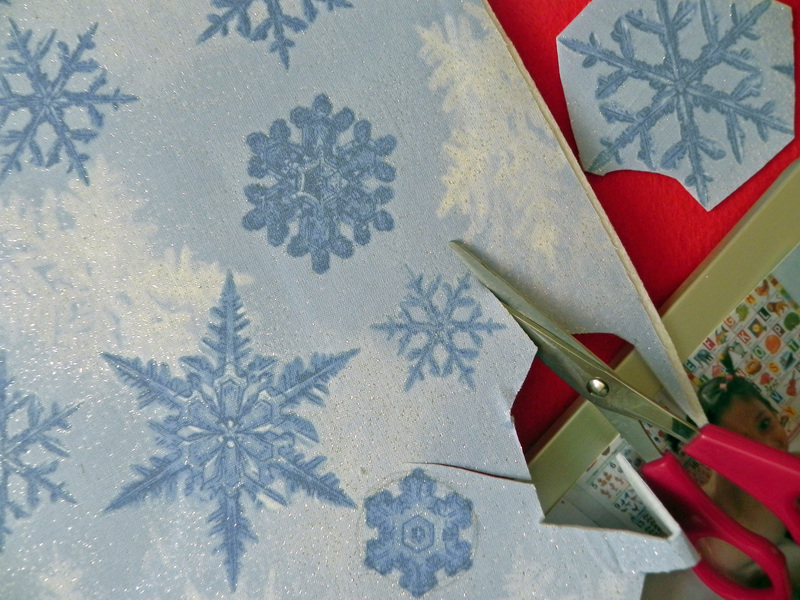 All we need is a fabric with snow flake print, glue, any old photo frame (of any size) and of course scissors. 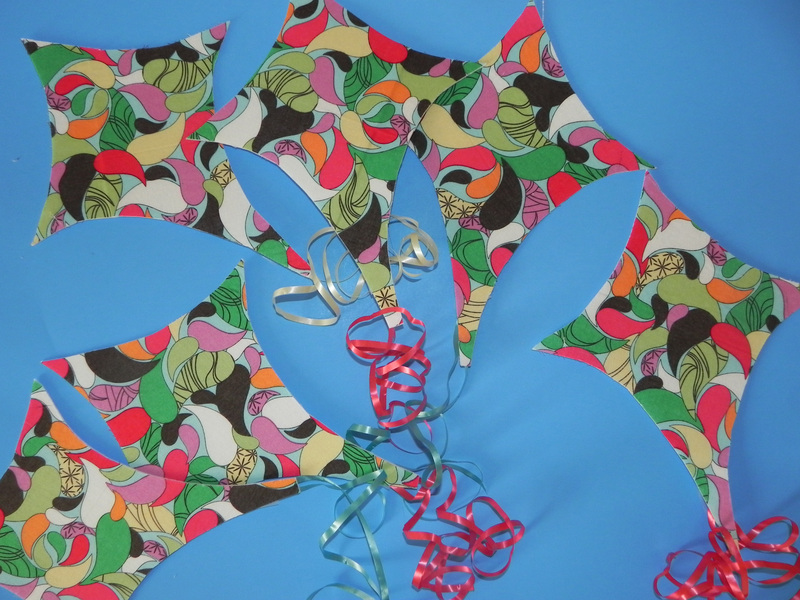 All you need to do is use the fabric to cut out snow flakes shapes from it. Now you just have to glue the snow flakes around you frame neatly. 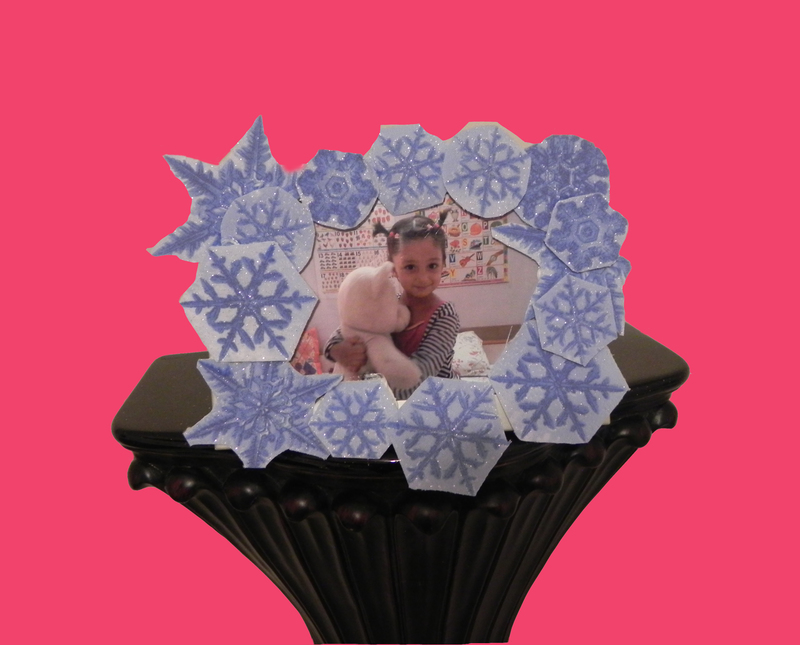 That’s it .. you Snow Flake decorated & hand crafted frame with a picture of your loved one is ready within 5 mins. As always I’m eager to hear from you, about your projects and craft work. It would be great if you leave comments using the form below. Wish you all a happy winter with some snow not a whole lot!! 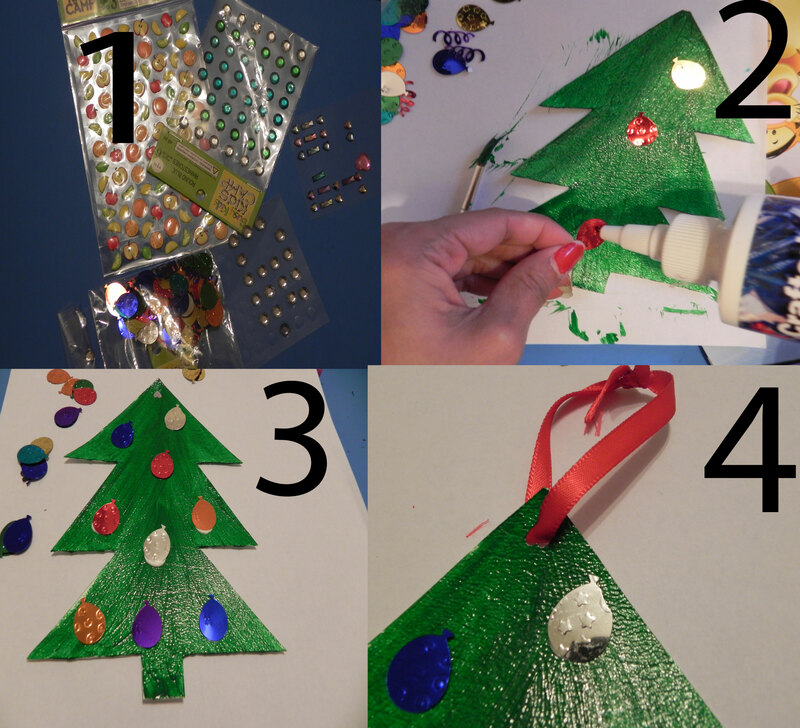 Here I’m as promised in my last post posting few more fun, easy DIY for you to get some more last minute Christmas ornaments on the tree. Step 1: First choose your Christmas ornament design. Check my earlier post to find out how to choose your design or where to find one. 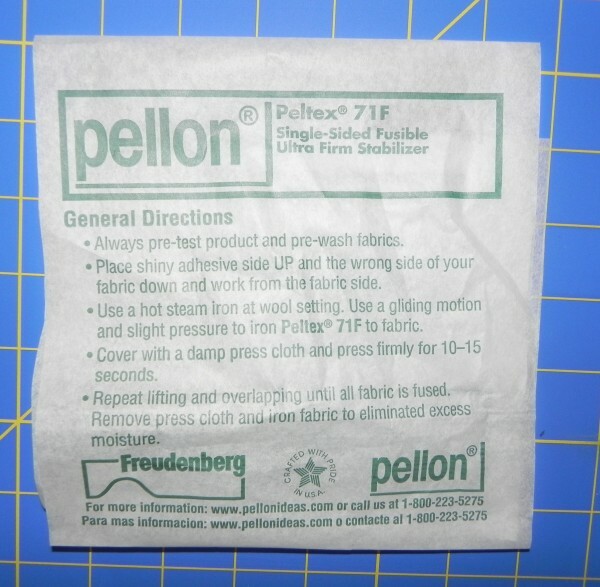 Artificial Leather or Vinyl. 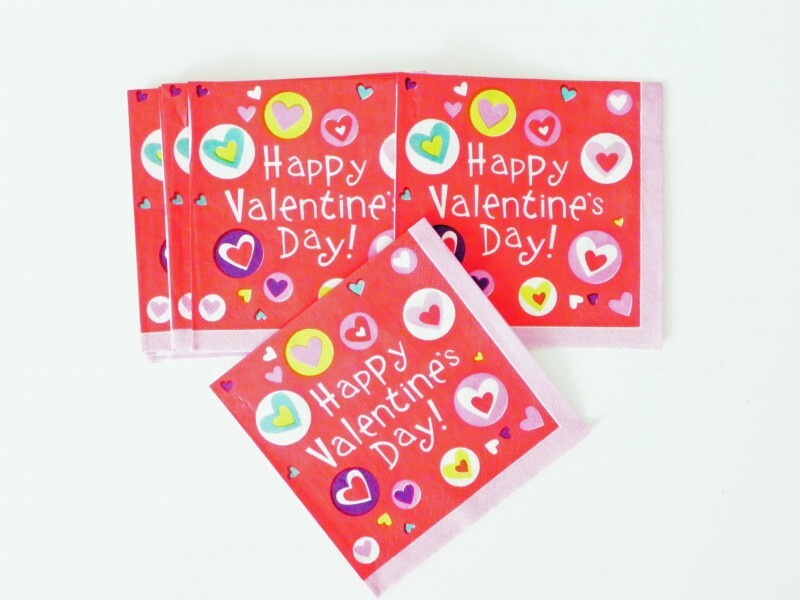 (You can buy this from your local favorite craft store or from stores like Joann. This is one example of what I used. 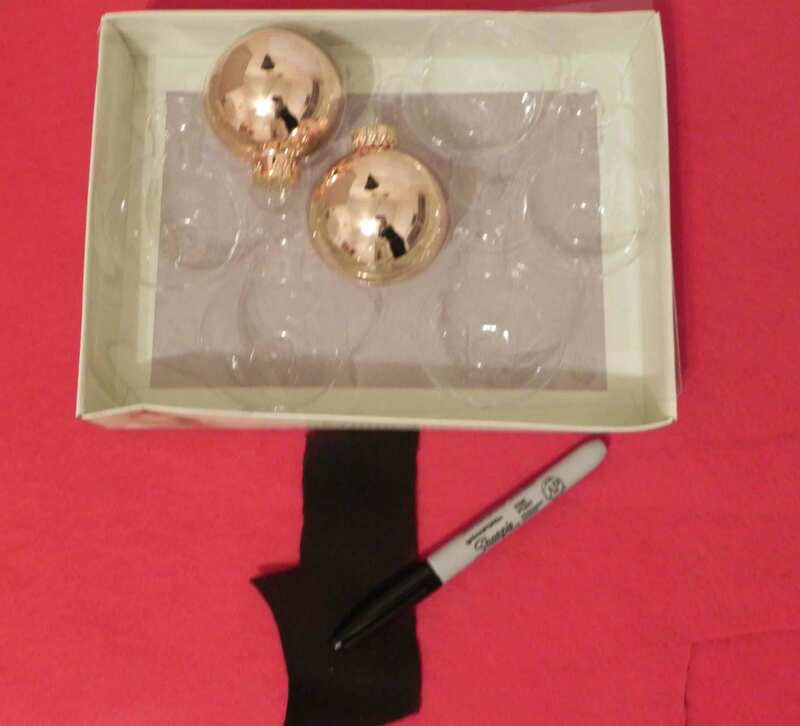 Step 3: Take white color Vinyl and draw your ornament design on it with fabric marker as show below in 2 or 3. Cut your design shape with scissor as in 4. 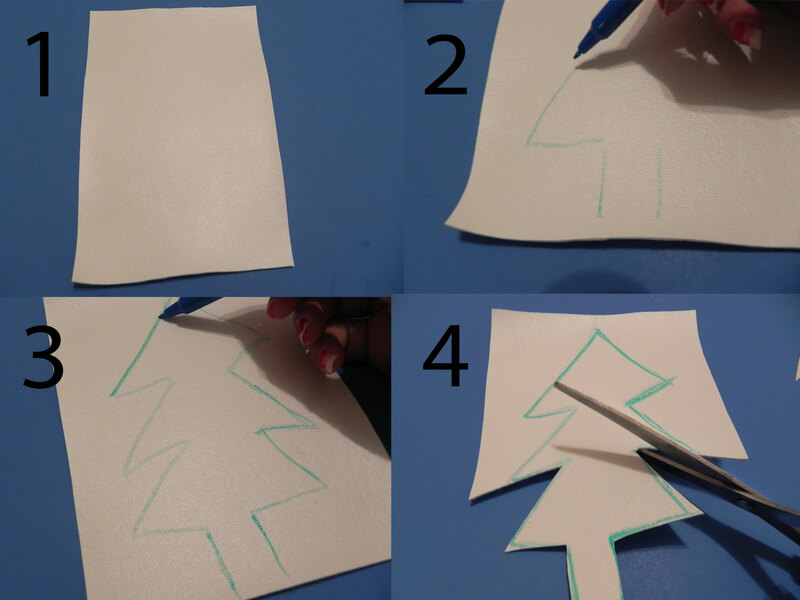 Step 4: The ornament is cut in the share of Christmas tree and is almost ready now, see 1 below). 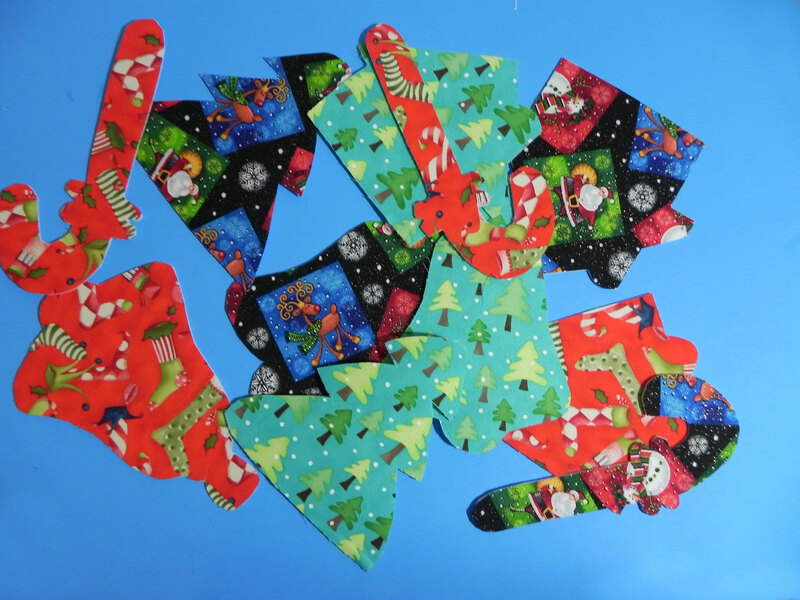 Punch a whole at the top of the Christmas tree with punch cutter (2). 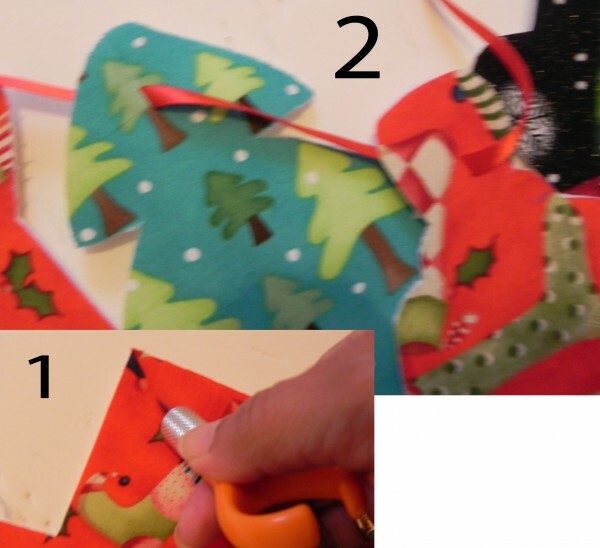 Use any fabric color to paint the ornament. 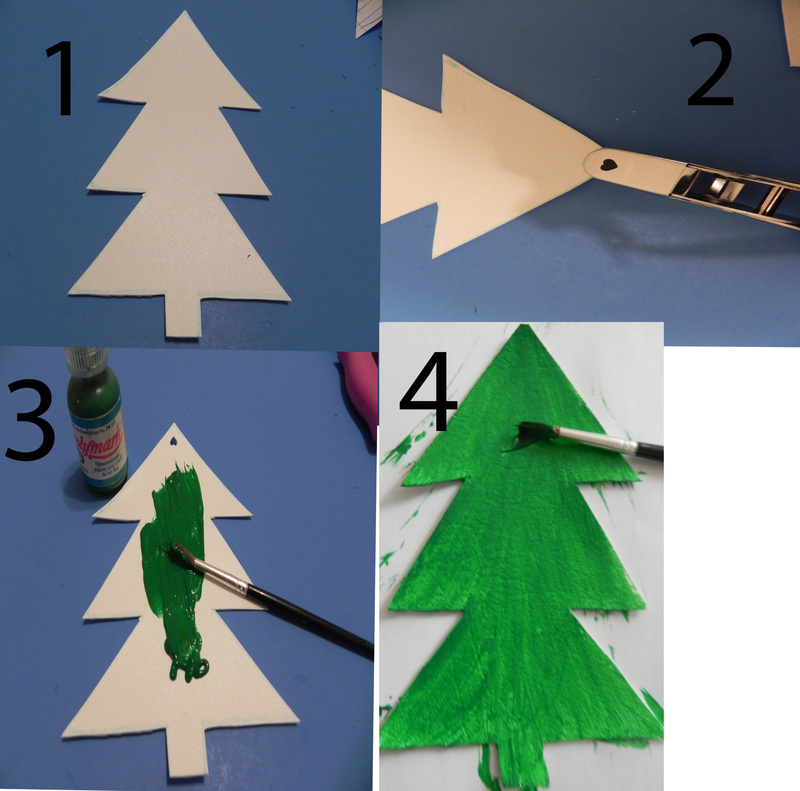 Obviously since this is a Christmas tree I have painted it with green color (3, 4). 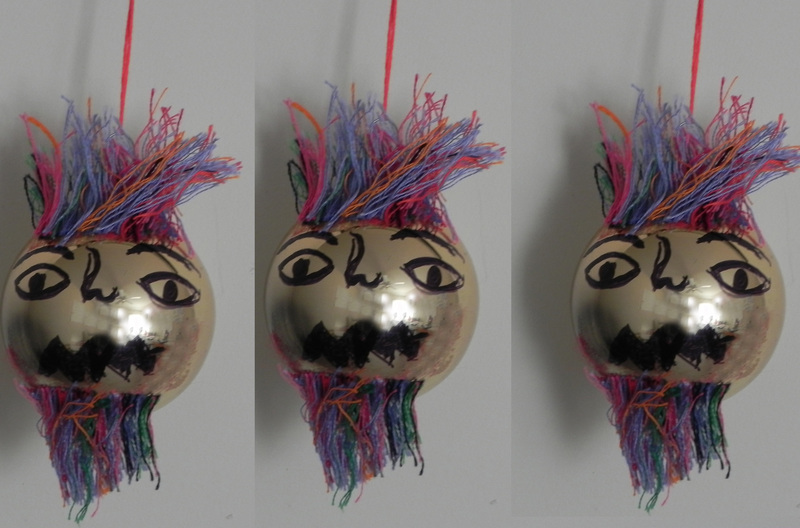 Step 5: Decorating the Christmas ornament is the most fun step of the DIY. 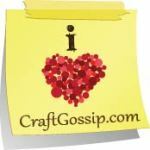 Look in your craft box for any sticker, beads,or scrap book stuff (1). 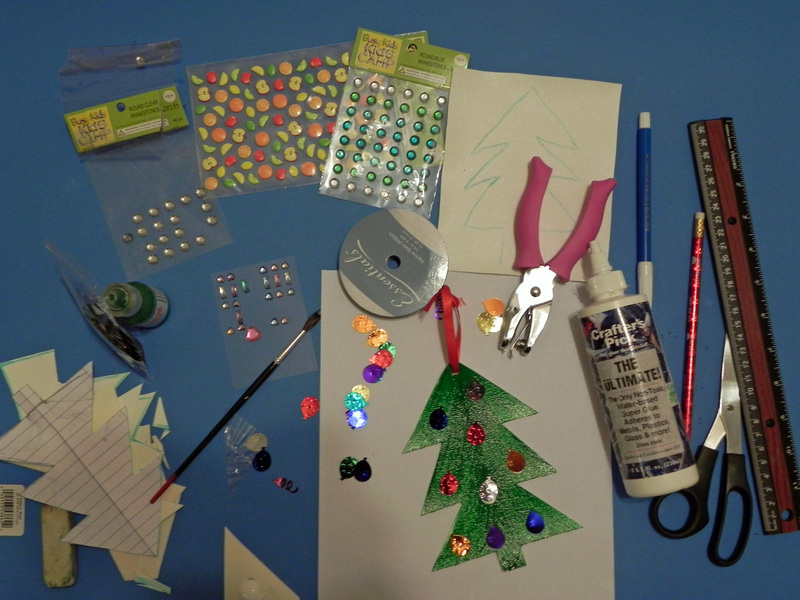 Stick these stickers/beads 0n your ornament with the help of super glue (2). 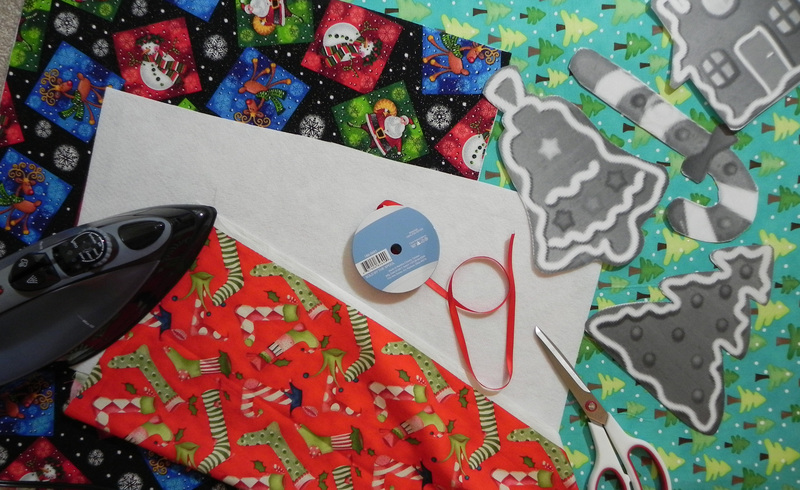 Take 6′ of satin ribbon and tie it on top of the ornament through the whole which we made in Step 4.2. Voila.. you Christmas ornament is ready to be hung on the tree. Go ahead and do that and share some pictures.